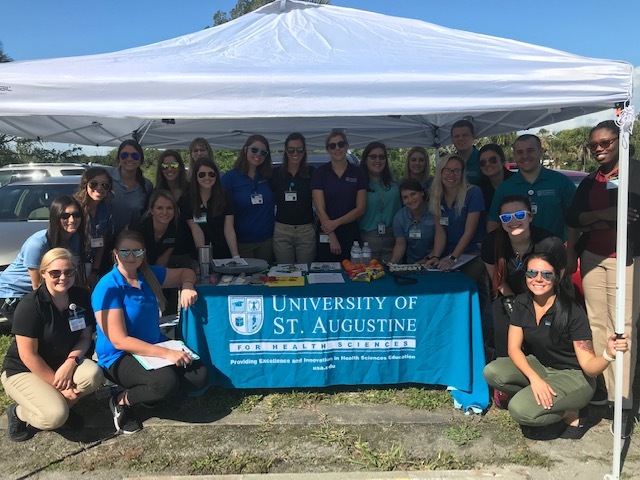 University of St. Augustine for Health Sciences (USAHS) will conduct CarFit check-ups in St. Augustine on Thursday, April 11 from 9:00 a.m. – Noon at the Council on Aging (180 Marine St., St. Augustine, FL). A seat belt that holds the driver in the proper position and remains comfortable while driving. The tilt of the steering wheel and position of the airbag. A properly adjusted head restraint. A clear line of sight above the steering wheel and dash. Easy access to gas and brake pedals. Ability to see around the vehicle by reducing the driver’s blind spots. The ability to turn the vehicle’s ignition key with ease or operate an ignition system. Occupational therapists are on hand to provide consultations that teach drivers how to maintain and improve aspects related to their driving health. The therapist can also provide information to participants addressing individual needs, including information about local community resources, adaptive equipment, and clinical services that can help them stay safe on the road. Older drivers can also check with their local AAA club or AARP office to take a driver safety refresher course for older road users or explore occupational therapy driving evaluation programs for individualized assessments and recommendations. 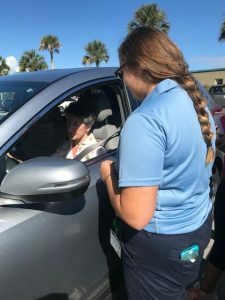 CarFit represents an extension of those classroom programs, and an opportunity for older drivers to make sure their personal vehicles are adjusted to their needs. By 2030, there will be an estimated 58.9 million people — that’s 1 in 5 people – aged 65 and older. They’re expected to represent 1 in 4 licensed drivers at that time. Personal mobility is critical for healthy aging, but as physical changes occur with age, ill-fitting vehicles can make it uncomfortable and unsafe to drive. The CarFit initiative represents a national collaboration between the American Society on Aging, AAA, AARP, and AOTA that has served more than 50,000 seniors since its inception in 2005, with expansion now abroad in Australia, New Zealand, and Canada. Inspired by crash statistics highlighting the frailty and fragility of the aging body, visionaries of these associations came together to combine expertise, missions, access to older drivers, and leaders in transportation and healthcare to deliver a public health message of injury prevention and safety for the aging driver.